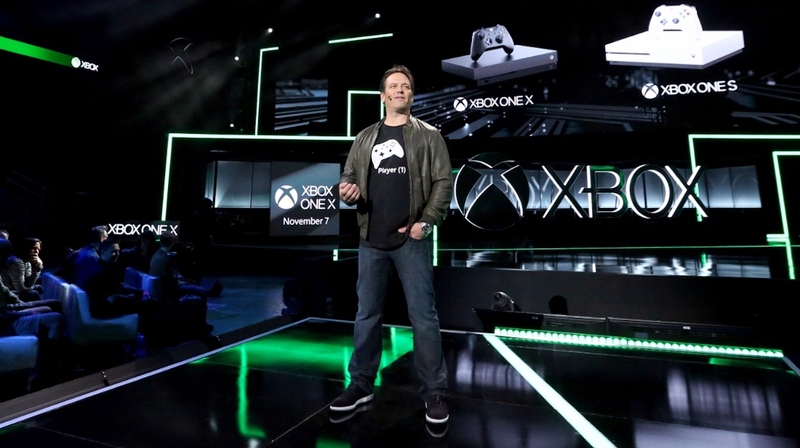 Microsoft’s E3 show accounted for 44% of all E3 2017 conference-related mentions on social media. Last year’s E3 was dominated by The Legend of Zelda: Breath of the Wild on social media that got around 75k mentions, followed by Battlefield 1 with around 45k. 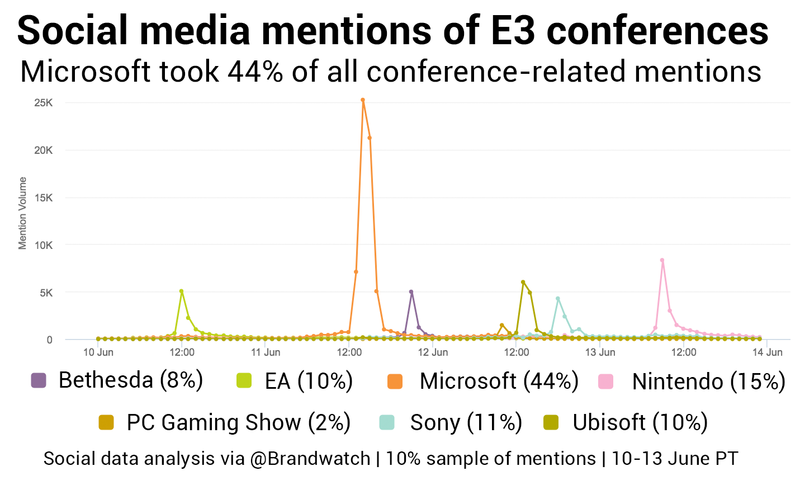 This year, Microsoft was the belle of the ball, with 44% of all conference-related mentions between June 10 and June 13, the period the major conferences ran. The stats came from analytics company Brandwatch, based on a 10% sample of 2.7 million English-language mentions, and while we don’t know how much of the conversation on social media was positive, there’s no such thing as bad publicity. Although I wouldn’t necessarily put that adage to the test. Showcasing the new Assassin’s Creed Origins and Bioware’s new IP Anthem probably helped, along with the Xbox One X reveal. Nintendo followed up with 15% of mentions, and Sony had 11%. When it came to games, there was a lot more happening on social media compared to last year. Assassin’s Creed Origins, Metroid Prime 4, and Spider-Man were the three most mentioned games of E3, with 75k, 65k, and 60k social media mentions respectively. The 10 most mentioned games of the the conference are below. Does this reflect what you’ve been seeing on social media? Let us know in the comments.